Salvatore Buttaci is a retired English teacher who has been writing since childhood. His first published work, an essay entitled “Presidential Timber,” appeared in the Sunday New York News when he was sixteen. Since then his poems, letters, short stories, and articles have been widely published in The New York Times, Newsday, U.S.A. Today, The Writer, Cats Magazine, and elsewhere in America and overseas. 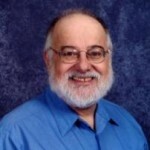 He has lectured on Sicilian-American pride and conducted poetry workshops and readings. In 2001, Pudding House Publications included his work in the Greatest Hits Series with his chapbook, Greatest Hits: 1970-2000. He was also the 2007 recipient of the $500.00 Cyber-wit Poetry Award. His book, Flashing My Shorts, a collection of 164 short-short stories, is available at Amazon.com. Another of his books, A Family of Sicilians… is available at Lulu.com/ButtaciPublishing2008. 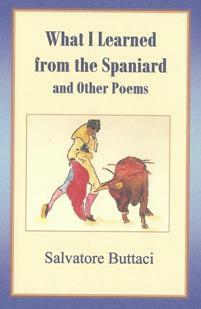 What I Learned from the Spaniard and Other Poems is one of several collections of Buttaci’s poetry and prose. or contact him at sambpoet@yahoo.com. This refreshingly conversational and engaging chapbook consists of thirty-five wonderfully multi-sensory poems with a genuine Beat feel reminiscent of Gregory Corso and other famous Beat poets. Cover art courtesy of artist Leo Gordon. both away and back again.